As the vampire Maximillian, the popular star is the most diabolical, dashing and definitely undead dude in the 'hood'. To add to the macabre fun, Murphy morphs into two other must-see characters: a paunchy preacher and a fast talking thug. 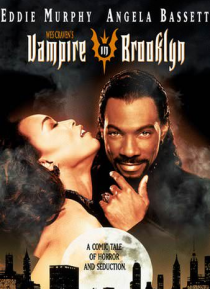 Angela Bassett plays the cop whose world is rocked by Maximillian's attempts to make her his mate for eternity.